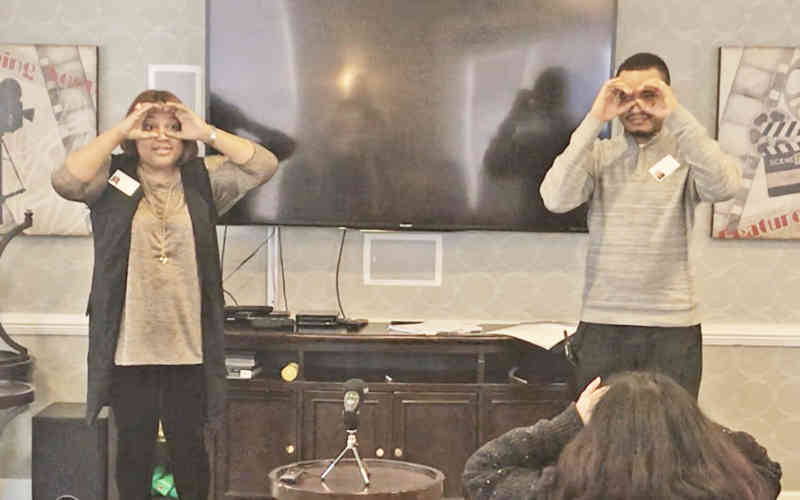 Kyffin Grove Life Enrichment Director Joyce Coleman and Director of Nursing Patrick Jajua are both certified trainers in the 'Positive Approach' to dementia care. 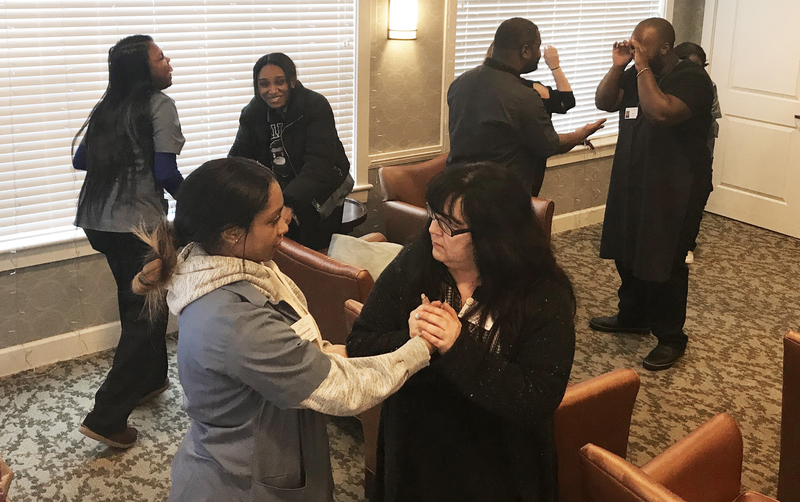 Developed by internationally-recognized dementia care expert Teepa Snow, the Positive Approach centers around adapting care to each person and, with each interaction, meeting the resident where they are cognitively. Joyce and Patrick held a training session recently to instruct our team members on the innovative care method. 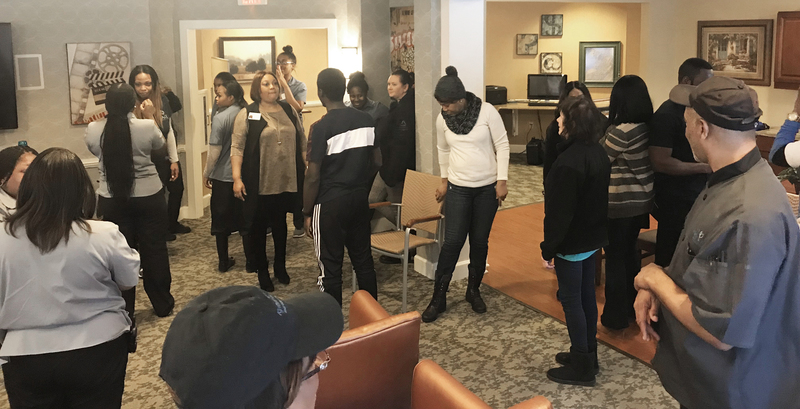 Team members worked in pairs to practice techniques for caring for residents who are living with dementia. To learn more about the Positive Approach care method and how implement it at Kyffin Grove, please fill out our contact form.